Send 'Programme Assistant, (GS-5)' vacancy to your friends! 1. Support to programme development, planning and execution. ⦁ Compiles data and information on subject matters relevant to the work of the section to facilitate preparation of reports, working papers, and presentations. ⦁ Prepares and maintains records pertaining to programme planning and development for his/her respective section. ⦁ Carries out transactions in VISION ensuring programme results, activities and programme coding are as per annual work plans (AWPs), and makes amendments and alterations as per section revisions when necessary. ⦁ Arranges meetings, workshops and training courses pertaining to programme development, and provides support in making the necessary logistical arrangements. ⦁ Following up both internally with the Supply section and externally with counterparts to ensure supplies for programme implementation are delivered in a timely and accurate manner. ⦁ Provides support on budget revision/preparation, implementation status, determination position of funding utilization, operational, and financial closure. ⦁ Monitors budgets and financial expenditures of the section, ensuring compliance with UNICEF rules and regulations, keeping supervisor informed and advised on actions for decision/follow up. ⦁ Prepares and maintains records, documents and control plans for the monitoring of project/programme implementation. ⦁ Compiles and organizes information and data pertaining to donors (both current and potential). ⦁ Compiles and organizes data and information to assist in the preparation of periodic or ad-hoc financial reports relating to country office and donors to support the office in optimizing the use of programme funds. ⦁ Supports the processing of contracts for consultants and external partners pertaining to the section. ⦁ Gathers and shares information as needed in support of improving the processes and daily operations of the section. ⦁ Supports capacity development activities related to performance monitoring, programme development, and related internal UNICEF systems/tools by drafting necessary correspondence, compiling data reports and maintaining relevant records. ⦁ Supports maintenance of communication and information management during the emergency response of the RO. ⦁ Plays an important role in supporting the coordination of the RO through logistical support to coordination meetings, taking and circulating minutes and documentation. ⦁ Is expected to work outside of regular work hours as required during emergency response. Fluency in English and Spanish is required. Knowledge of another official UN language (Chinese, French, or Portuguese) is an asset. 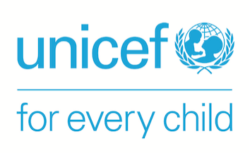 UNICEF ensures more of the world’s children are fed, vaccinated, educated and protected than any other organisation. UNICEF promotes the rights and wellbeing of every child, in everything we do.